See who gets to the top of this great slide! 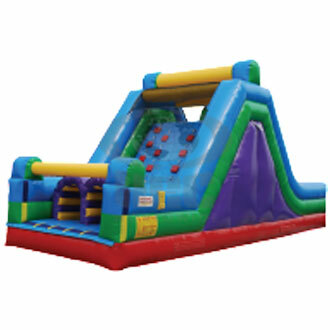 Description: Inflatable rockwall and slide rental. Our new rock wall climb and slide units is perfect for all types of event,it can also be combined with our obstacle course to form a 70ft long obstacle course.